I love the taste of the seasoning that is on Everything bagels! My favorite type of bagel is the everything bagel. I just love the salty and crunch of the spices! When I discovered that I could make this seasoning, I was so happy! I now use this seasoning on everything from bagels to veggies. This seasoning is also great on a sliced avocado or a bowl of oatmeal. The main reason that I made this delicious Everything bagel seasoning is so I could use it for my Easy Two Ingredient Everything Bagel Recipe! 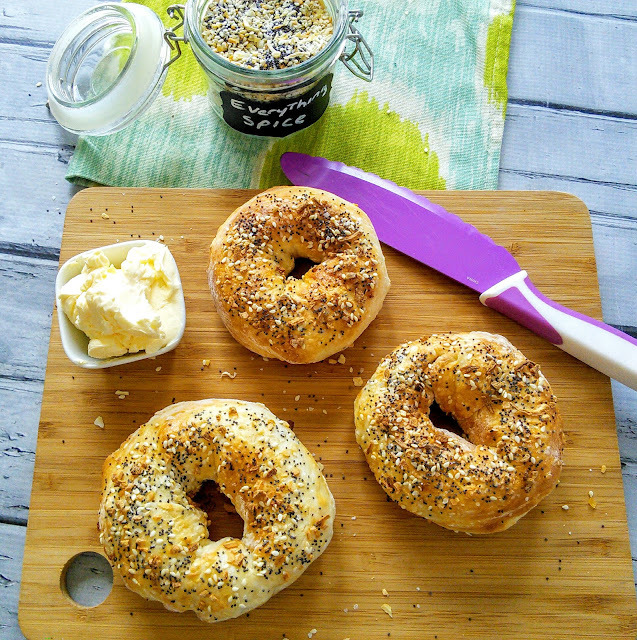 This easy bagel recipe requires no yeast or baking soda bath. You can even make the bagels in the air fryer. This recipe makes one cup of bagel seasoning but if you want less just cut the recipe in half. I recommend going to a store that sells bulk food items as the prices for spices are so much cheaper when you buy them in bulk. 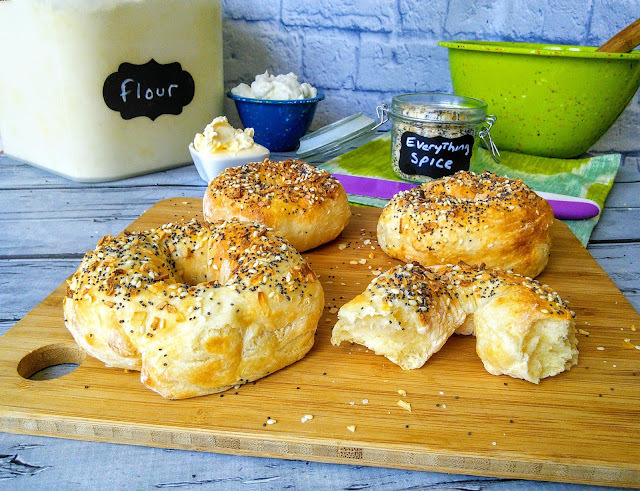 I put plenty of Homemade Everything Spice on my homemade two ingredient bagels! Combine all ingredients in a bowl. Pour into a shaker type container or another airtight container and store in the pantry. This seasoning will last for several months. What will you use this incredible Everything spice on? This looks so delicious! I have never created a bagel spice! I would actually put in on toasts as well. Your bagels look so good! I totally want to try this spice on my avocado toast! That's pretty different. 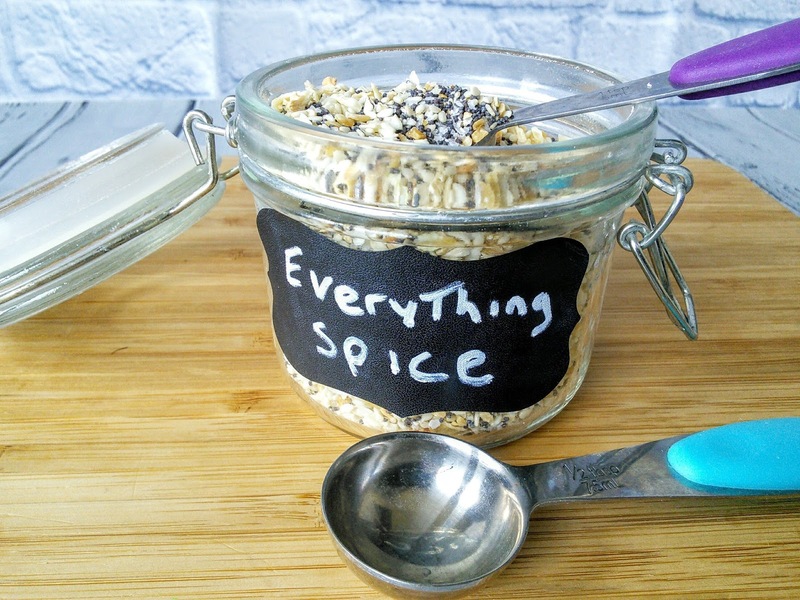 Never thought of making my own bagel spice. Thanks for the recipe! You just made my heart flutter with joy. You don't know how much I love everything bagels, but rarely buy them because the kids don't like them. I am making this today! My fiance loves bagels so I think that he would love this! Need to try making this for him.